2004 Chess Olympiad in Florida? Daniel Lucas, "Florida Becoming the Center of U.S. and World Chess?" 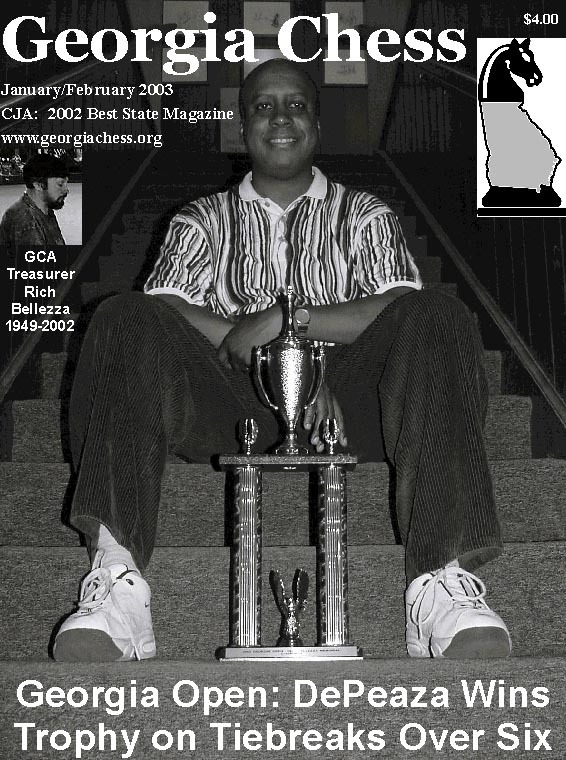 Georgia Chess, January/February 2003 (U.S.A). A number of exciting possibilities for U.S. Chess are on the horizon in our neighboring state of Florida. In addition to the World Chess Hall of Fame that recently opened in Miami, Florida is now courting the USCF, FIDE and Kasparov. The USCF has decided that they have outgrown the New Windsor offices, and consequently have been exploring a move to either New Jersey, Palm Beach, or Miami. Leading the Palm Beach effort is former GCA President, USCF President, and FIDE representative Don Schultz. He told Georgia Chess, "Two bids are being considered, one for Miami and one for Palm Beach Gardens. Shane Samole and Al Lawrence are leading the Miami effort and Joel Channing and I are leading the Palm Beach Gardens (PBG) effort. Frank Niro just visited Palm Beach Gardens on this and played in a live match. Joel Channing and I directed the white pieces with Frank and Bob Smith directing the black pieces. The PBG Police were the white pieces and PBG Firemen were the black pieces. I expect a decision in about a month." This article appears in the current Georgia Chess magazine with Terrence DePeaza on the front . In addition to this, Schultz is pushing for the 2004 Olympiad to be held in Jacksonville. FIDE has already committed to holding the event in Minorca, Spain, but apparently there is some question if the playing facilities will be adequate. According to Schultz, Jacksonville has an ideal playing facility lined up as well as a verbal agreement for six million dollars of funding. Finally, Garry Kasparov told Schultz that he liked the idea of the World Championship unification match taking place in Jacksonville right before a Jacksonville Olympiad. For more information, visit chessdon.com. 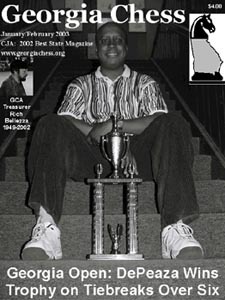 Daniel Lucas is the editor of the Georgia Chess magazine, the winner of this year's Chess Journalists of America "Best State Magazine" award.